Trainee crew placement – additional conditions apply. Write to info@windseeker.org for more information. Join the Blue Clipper as part of a trainee crew. Spend 9 weeks on board, working alongside the professional crew to gain knowledge and experience. Cross the Atlantic Ocean under sails from Portugal to Barbados, visiting Canary Islands and Cape Verde along the way. Be fully immersed into life as a crew member on board. 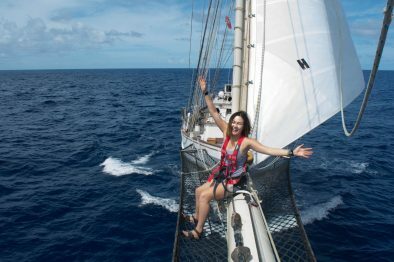 Learn every aspect of sailing and working on board a traditional Sailing Ship. Earn an official RYA certificate upon completing the journey. Open to Windseekers aged 17-25 who successfully pass the application process. 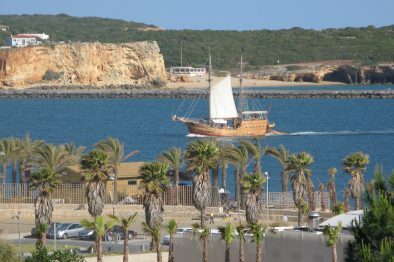 Portimão is a Portugese city in the southern region of Algarve. Take a stroll along the Alvor Boardwalk, relax on the white sands of the Praia Da Rocha beach and visit the Museu de Portimao for a little history lesson. You can also take a dolphin watching tour or do one of the multiple offered water sports. 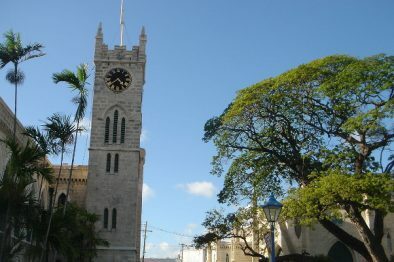 Bridgetown is the capital city of Barbados, an island nation eastern Caribbean. It’s the only city on the island, and thus is the hub for tourism – the historic old town is a UNESCO World Heritage site is a place to wander around, and learn about the island’s colonial history. Attractions are plentiful – after watching a game of cricket and trying some flying fish for lunch, relax with a glass of locally-distilled rum and prepare for your next voyage.